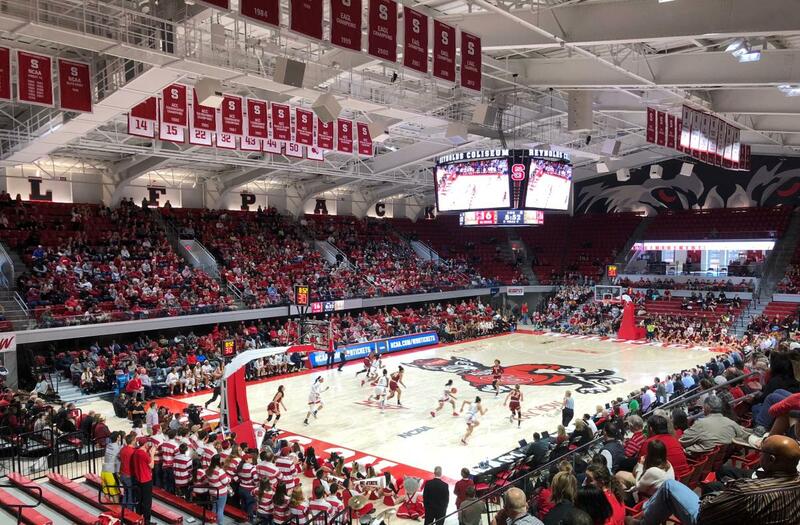 Reynolds Coliseum means too much to the history of North Carolina State University (NCSU), the Atlantic Coast Conference and the Raleigh area in general to be forgotten—its tradition and its charm tossed aside in favor of something completely new and shiny. Everett Case, Norm Sloan, Jim Valvano and Kay Yow—all legends—once prowled the sideline at Reynolds, the arena that opened on NCSU’s campus in 1949. 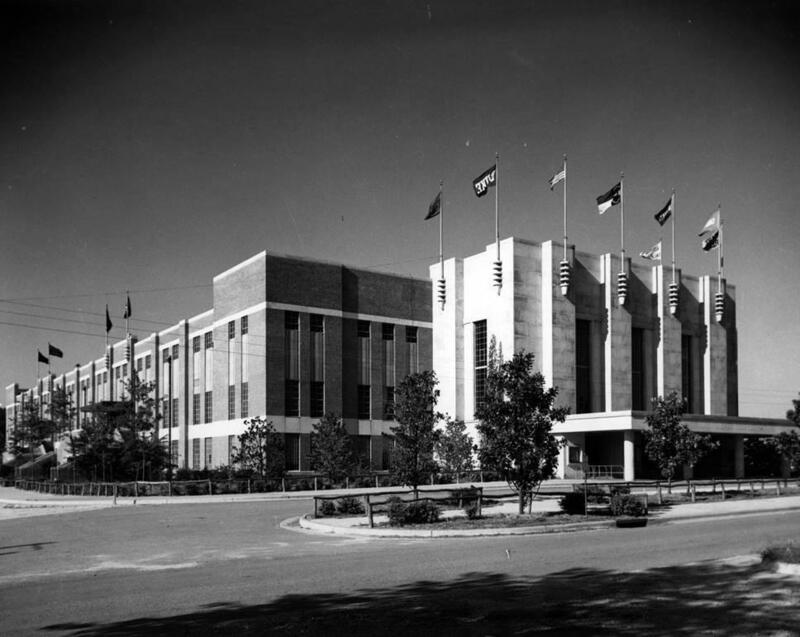 That history—which includes the Dixie Classic, multiple ACC Tournaments and NCAA tournament action—could not be demolished, even though the Wolfpack men’s basketball team had not played there regularly since the winter of 1999. That’s why, when a major renovation began in 2015, the focus was simple, according to senior associate athletics director Fred Demarest. “It had to feel like Reynolds still. We couldn’t just make it something all new,” Demarest said. That renovation has not only incorporated the very important past but also has positioned the venue for an event-hosting future that likely would not have been possible in the venerable arena’s previous state. For instance, until the venue reopened in Sept. 2016 with a Wolfpack volleyball victory, it did not have air conditioning. That next series of moments is being secured as more visitors see what the new Reynolds is and can be. The arena—important to the Raleigh community, the NCSU campus, and postseason events for the ACC, NCAA and NCHSAA – has regular suitors returning and new ones calling. Reynolds Coliseum is the regular host for all four high school volleyball state championships as well as some of the state basketball finals. It is the present home of the Wolfpack’s wrestling, volleyball, gymnastics and women’s basketball teams, and last spring it hosted both an NCAA gymnastics regional and the first and second rounds of the NCAA women’s basketball tournament—thanks to Coach Wes Moore’s team earning a top-four seed in the event. It is also scheduled to host gymnastics regionals in 2022, and also in 2022, will host the NCAA rifle championship. Demarest said visitors who have seen Reynolds before and after the renovation marvel at what it has become. Seeing sunlight peek in the new, large windows or walking the modern-looking concourses and watching videos of past ’Pack glory, it’s easy to see why people have enjoyed the transformation. 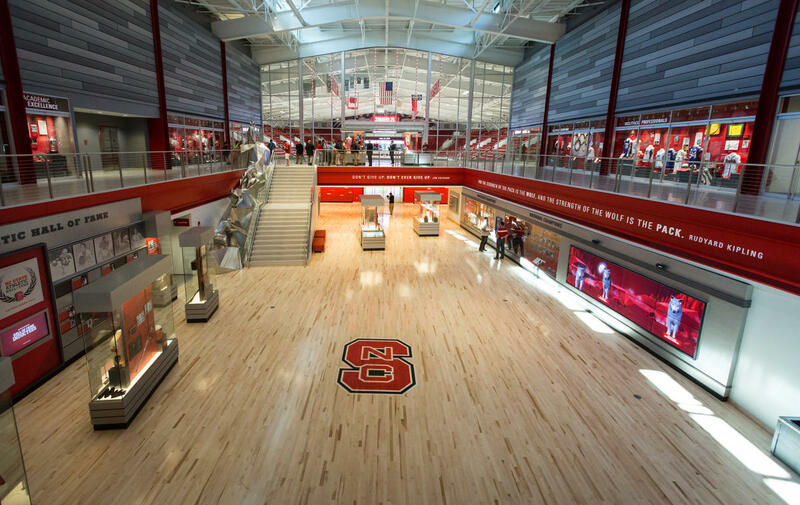 One of those event-hosting spaces is one level up from the playing surface, the BB&T Grand Hall in the north lobby, which also serves as the center of the NC State Athletics Walk of Fame and History. 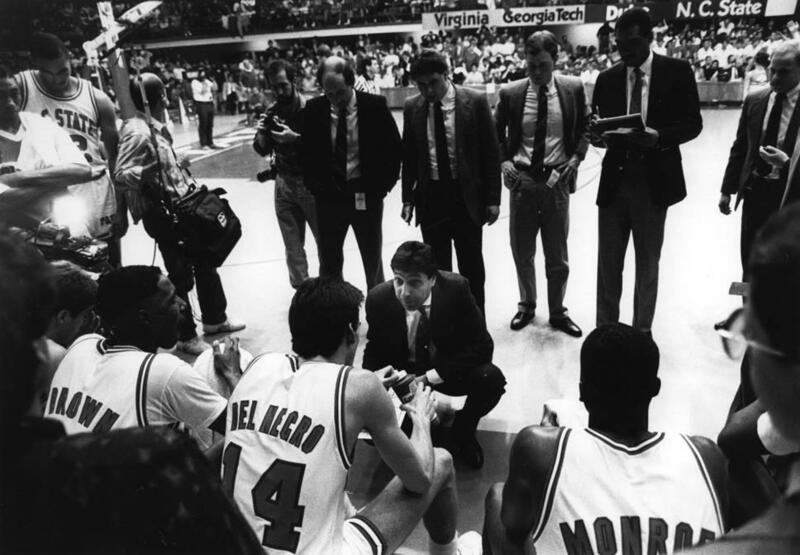 All around the concourse are so-called “Reynolds moments.” There are 17 such moments, Demarest said, such as Jim Valvano’s speech to Wolfpack fans that was the precursor to his more famous ESPY speech in 1993 in the weeks before he died of cancer. And with an eye toward the future, space is available for moments to be added when they are deemed worthy of commemoration. Preserving the building’s history was a big part of the renovation project, which cost $35 million. Demarest recalls walking through the arena with NCSU standout Rodney Monroe, part of the Fire and Ice backcourt with Chris Corchiani, and discussing the details that were important to him. The NCSU administration had numerous conversations with those close to the basketball program in particular. Two examples: the noise meter and the old Longines clock still have a place in Reynolds, because “they really resonated” with State fans, Demarest said. The court may be new, with state-of-the art lighting, but it gives a nod to the past through naming. Officially, the court at Reynolds is named after Kay Yow, the Hall of Fame coach and the sister of NCSU athletic director Debbie Yow. 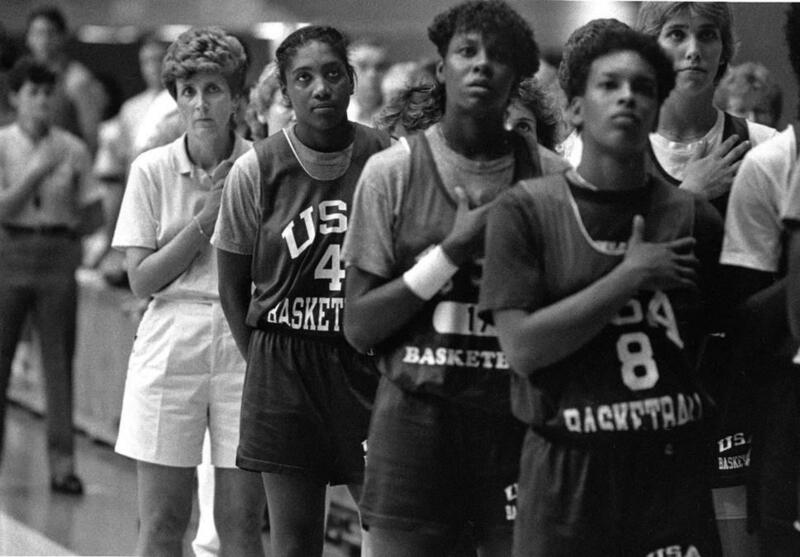 Reynolds achieved notoriety as, in the words of the campus historical marker just outside the front doors, “the House that Case Built.” But it is not just a big gym. Reynolds has hosted speeches from three sitting presidents and others campaigning for the office, as well as concerts by The Rolling Stones and Elton John. Construction began on the arena several years before Case was hired as NCSU’s basketball coach. The United States’ involvement in World War II contributed to construction being put on hold, and when Case arrived on campus, he looked at the building plans and suggested several thousand more seats be added. The eventual capacity, sometimes listed as high as 12,400, was reached the only way it could, given that construction had begun: by extending baseline seating. Kevin Keatts used to be a fan in those cavernous end zones, years before he became NCSU’s coach. Keatts grew up in Virginia as a follower of the league, and he is well aware of Reynolds’ place in basketball lore. And it’s a place Keatts will coach again: The men’s teams annual Reynolds return game is Wed., Dec. 5, against Western Carolina. On that day, a ceremony will officially invoke the name Valvano. A naming gift means that the venue’s official name will be Kay Yow Court at James T. Valvano Arena at William Neal Reynolds Coliseum. 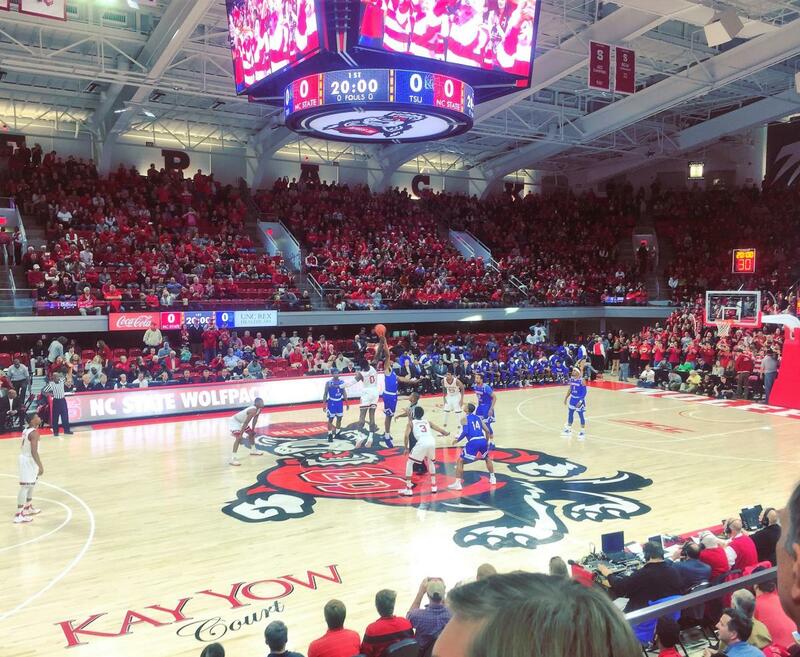 With individual seats and a new configuration, the capacity is now about 5,500, giving the Wolfpack an intimate homecourt advantage for men’s and women’s games, but it’s far smaller than the men’s team homecourt at PNC Arena. Keatts’ players still relish the chance to go back on campus to play. 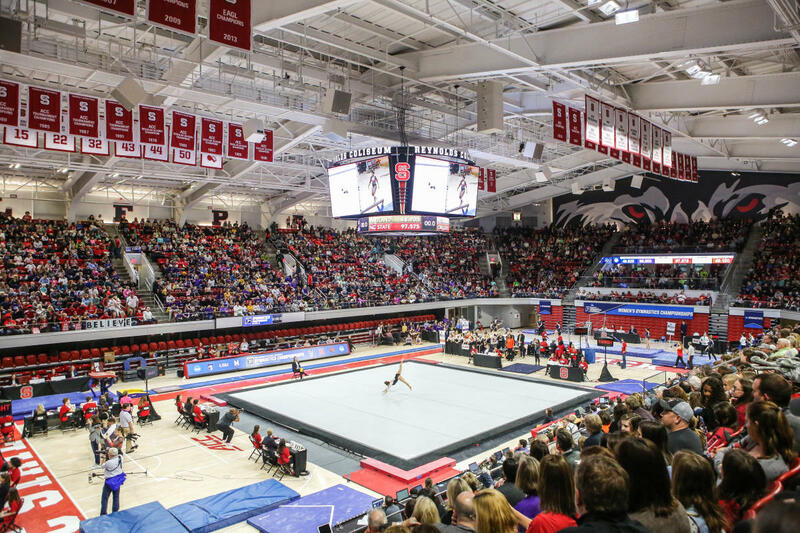 It’s that classic feeling, along with the bells and whistles and new technology, that will keep major events, and fans, coming back to Reynolds for another 66 years. For further coverage of the renovations, view more from local news outlet WRAL.